Photographs by Regine Petersen. Text by Natasha Christia. Kehrer Verlag, Heidelberg, Germany, 2015. 144 pp., 78 black-and-white and color illustrations, 7½x9½". 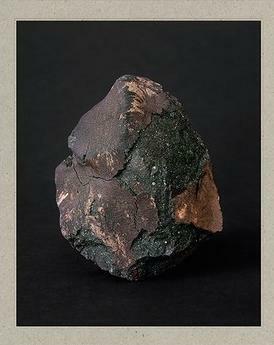 Regine Petersen uses the stories of meteorite falls as a background for her multifaceted narratives; a rock crashing through the roof of an Alabama home in the 1950s and hitting a woman, a group of children recovering a meteorite in their village in post-war Germany, and a more recent event in India involving two Rajasthani nomads. Petersen visited the places and the eyewitnesses and delved into their stories, expanding her photographic observations with found documents and interviews. 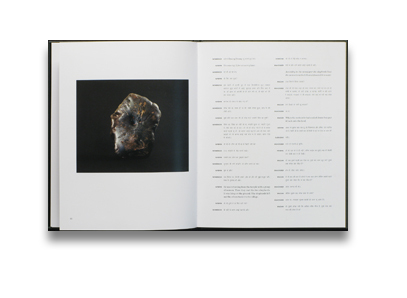 The book is a precious collector's item: one hardcover book for each chapter plus a text leaflet come in an embossed slipcase.